Intertraffic Amsterdam It is a biennial event in the fields of infrastructure, safety, parking, smart mobility and traffic management. The 2018 edition will feature 13 exhibit halls combined with an in-depth knowledge and best practice programme. 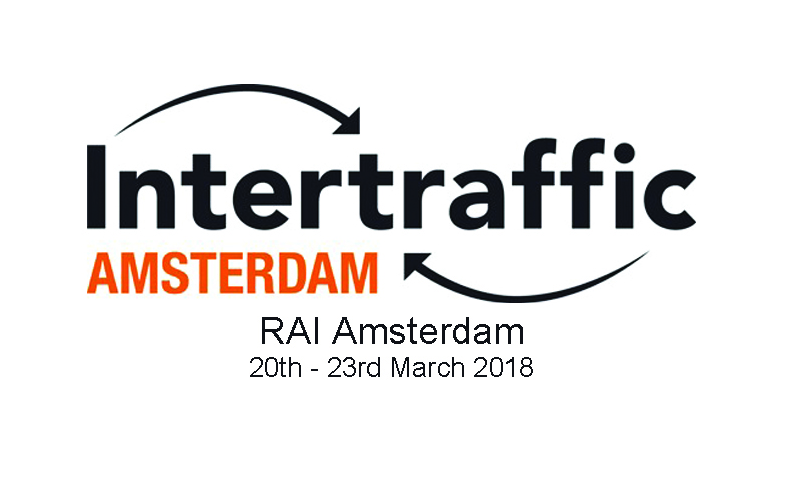 Intertraffic Amsterdam will be staged from 20 to 23 March 2018 in RAI Amsterdam, The Netherlands. Intertraffic Amsterdam 2018 will be host to well over 800 exhibitors and an audience of 30,000 global traffic professionals addressing today’s and tomorrow’s mobility challenges. There will be a dedicated hall on Smart Mobility and an additional pavillon on Smart Cities. Registration has opened for visitors and is free of charge.